The Box categories are really just for my personal use. It tells me what box the comic is kept in. Not really interesting to anyone else, except i guess that it proves that i really keep my comics in the order listed on this site. 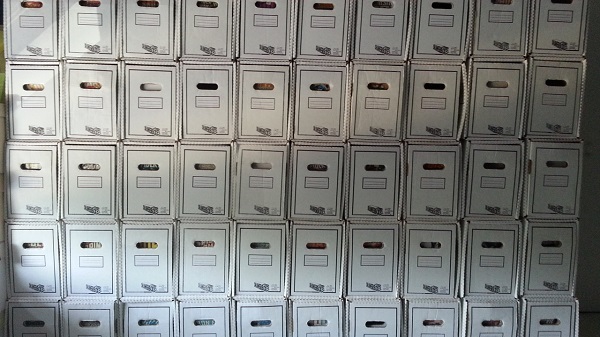 Below is a picture of my long boxes, which are actually drawer boxes (I'm not affiliated with the company that makes them in any way) that allow me to refer to comics anywhere in my collection without having to shift tons of boxes around.